Archi-ponics with Colin & Karen: Can Hydroponics Save the Family Farm? - Rosebud Magazine Hydroponics Lifestyle Growing And Entertainment! Archi-ponics with Colin & Karen: Can Hydroponics Save the Family Farm? This hydroponic greenhouse growing cucumbers is just one example of what controlled environments and soilless mediums can do. 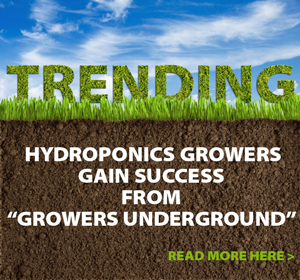 Hydroponics growers are moving to the forefront of sustainable agriculture. Our versatility and economic use of resources for cultivation will help to feed more and more people. The tricks of our trade also allow hydroponics farmers and gardeners to be resilient; we can carve out new niches in the marketplace when faced with competition from mega-farms. Hydroponics and controlled environments give small-scale operators a competitive advantage in many ways, such as land acquisition. As humanity faces the reality of rapid population growth, opportunities in the agriculture industry have never been greater. By 2061, three billion more people will live on our planet. In fifty years, there will be 100 million more Americans to feed. According to the U.S. Census, we already have 300 million people within our borders. All across the U.S., there is increasing demand for locally grown product. That’s good news for small organic farms, but almost two-thirds of our food producers are reaching retirement age, with only a small percentage of young people stepping up to fill the void. The USDA has identified a need for one million new farmers to enter the agriculture business every year. However, with all the opportunities for small-scale crop production, major challenges do exist. Beginning farmers will be looking to purchase land in a time when credit is very tight. It is likely that most soil they choose to farm will need serious augmentation. The process to becoming certified organic when converting conventional farmland takes three years. Changing weather patterns constantly put crops at risk, and those losses can bankrupt a small business. However, there’s good news.Grocers like Whole Foods allow farmers to acquire accounts with individual stores, whereas most big grocers will only purchase product through wholesale distributors or regional distribution. 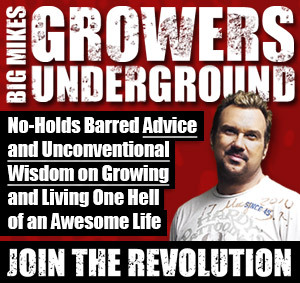 On the flipside, smaller growers are at risk because once they achieve a certain level of success, there’s the possibility that mega farms will copy your product, flood the market with it and destroy your niche. With every opportunity comes risk. At Archi’s Acres, we accept and welcome the challenge. That’s because for us, like most small-scale producers, this isn’t just a business – it’s a lifestyle. We appreciate the environment we work in and we enjoy feeding people.We aren’t confined to a cubical. Yes, farming involves long days and weeks, but we experience a lot of freedom. So how do we mitigate the risks, which may scare aspiring farmers off before even planting seed? Hydroponics and controlled environments give small-scale operators a competitive advantage in many ways. With soil-less systems, there’s no need to go into debt purchasing a property. 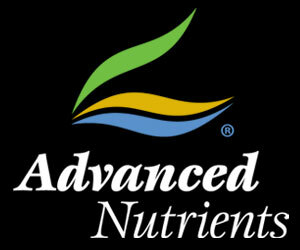 We can lease land for 5-10 years, then upon termination of the lease, move the hydroponic systems to another property. We don’t require fertile soil, or soil at all. We can lease abandoned buildings, empty parking lots, or even rooftops. In controlled environments such as greenhouses or converted warehouse space, the effects from weather variables are much less. That allows us to ensure our customers the consistent and timely delivery of our product, which in turn provides a steady stream of cash flow into the business. What can happen when a mega farm copies your niche product and floods the market? Because hydroponic systems are so adaptable, we can quickly grow a new crop within weeks, and create a new niche market. Finally, successful farms of the future will be the ones that maximize the profitability of a given area, and nothing I’ve seen yet matches the output, per square foot, of hydroponics. What new albums are rocking in the Rosebud Magazine offices this week? Check it out here. A demonstration of the versatility and usefulness of hydroponics.